Description: This one diverse with Dub, Dancehall, live Dubstep, vocals from MC Zulu, UK Funky, Dread Bass, and other booty-shaking music. 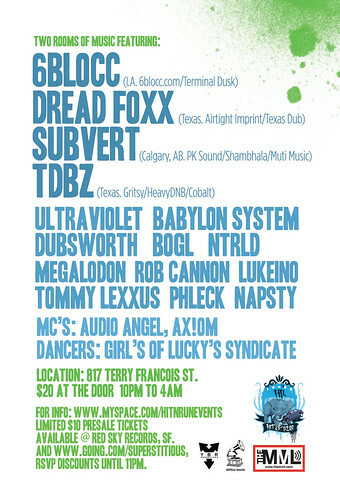 Dub mission gonna be live this night in a soundsystem style. 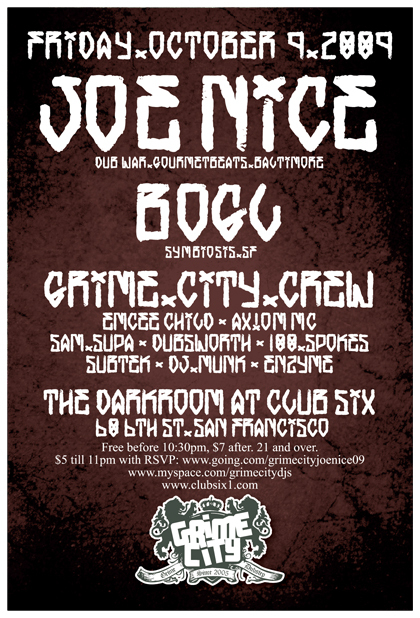 Tickets: $8 advance @ brownpaper or jambase, $10 door. 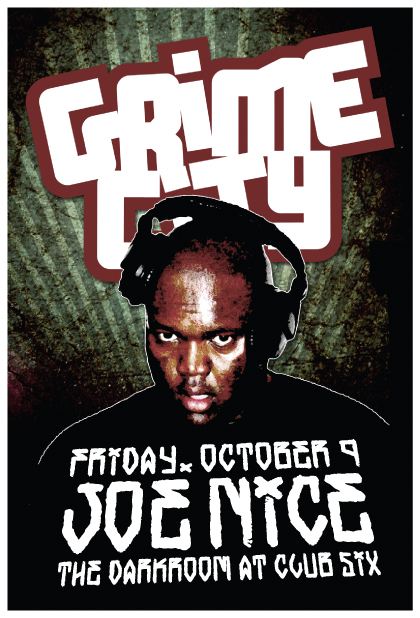 Description: Grime City migrates over to Club Six in the Darkroom downstairs and brings allstar Joe Nice to town. Big big lineup. Tickets: Free before 10:30, $7 after. Description: Dubstep this week from Dubsworth of The Spit Brothers who’s been killing it lately with support from Lukeino. Solid Bump Disco Showcase with Alona & White Girl Lust. Description: Dubsworth of The Spit Brothers headlines this bigtime Thursday night packed with local talent. One for the downtown crew.